A little wall quilt full of old world allure! Traditional Hole in the Barn Door blocks, in varied colors, are set in a neutral background, surrounded by a brown border. 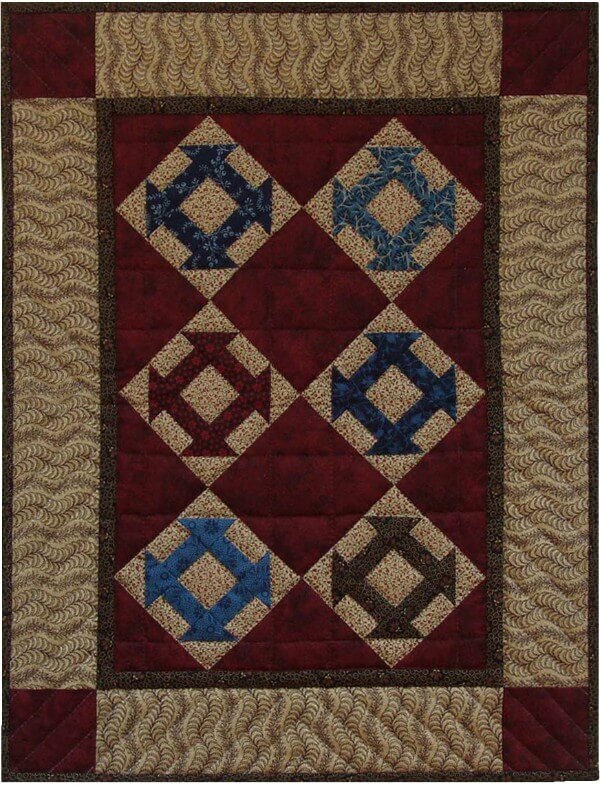 The patchwork, anchored in dark red plain blocks, results in a wonderfully cozy look that will fit most any room decor. Finished size is 17in x 22in. Colors are red, brown, and blue. Kit includes all fabrics (100% cotton) needed to complete entire wall quilt (including quilt top, back, and binding), batting, and complete instructions.